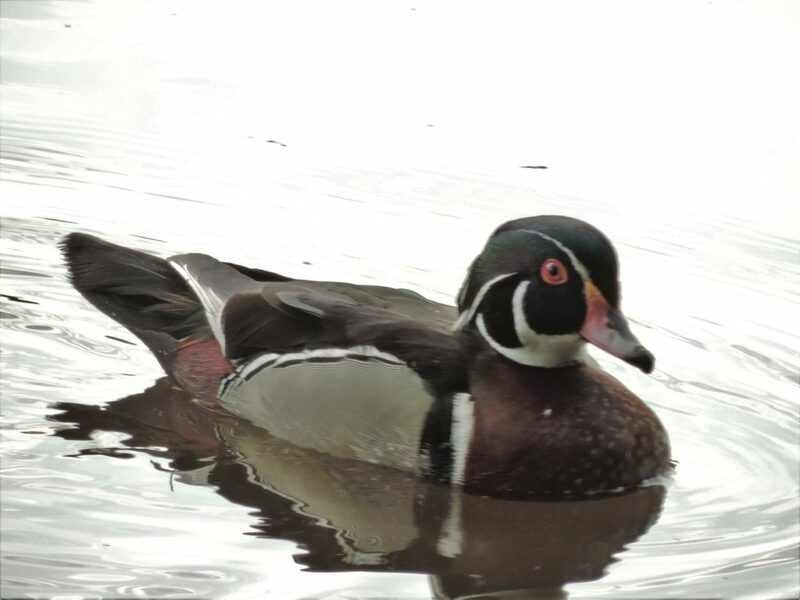 Our Sandy Hill section of the Rideau River is the summer home to one of the best looking ducks in North America; the Wood Duck. The male’s showy breeding plumage could almost be a model for a Picasso cubist painting. But sadly his iridescent, multi-coloured handsomeness is fleeting. Once his breeding duties are over, he moults to a much drabber grey plumage. 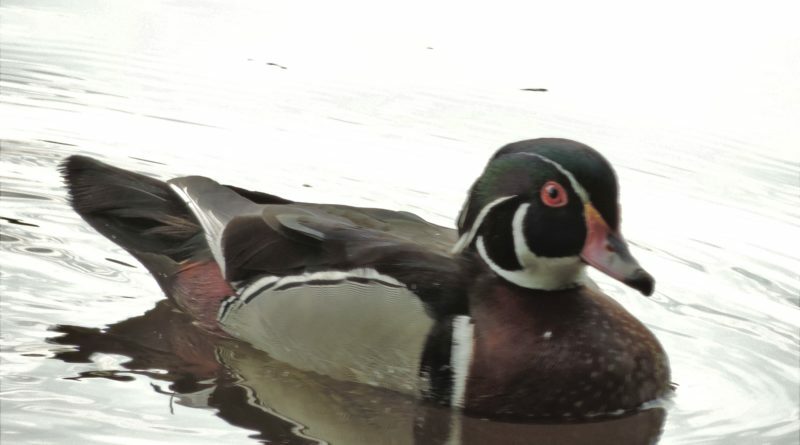 Although the female Wood Duck follows the usual duck standard of female drabness, she is nonetheless much prettier than her Mallard sisters, with a distinctive white pattern around her eyes and blue and white wing feathers. The best time to see the male in his full glory is in spring, shortly after he and his mate arrive on the Rideau River in late March and on through to June. The two of them are most likely to be seen drifting along the shoreline in the grassier sections, from Strathcona Park through to the Hurdman Bridge. And of course towards the end of June, you will start to see this year’s crop of ducklings skittering along the water behind their mother.